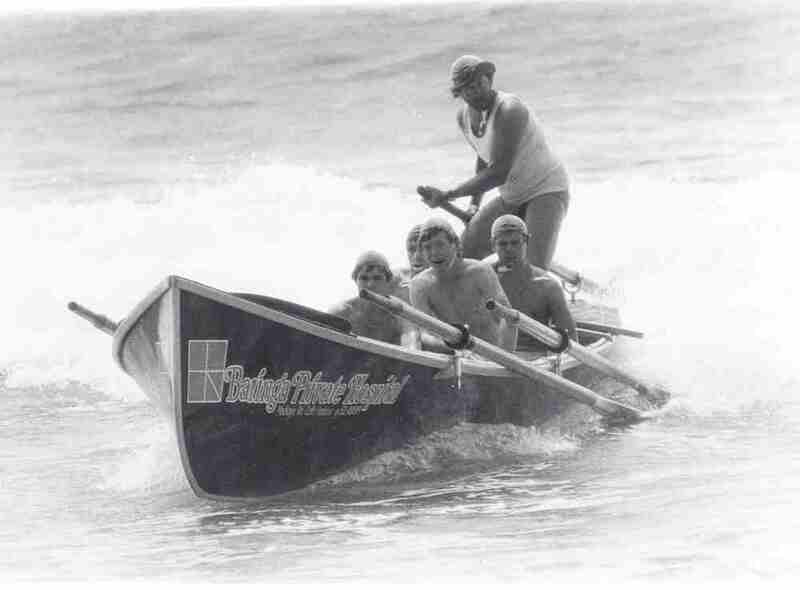 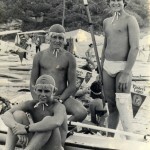 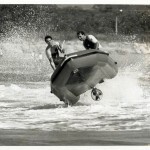 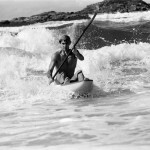 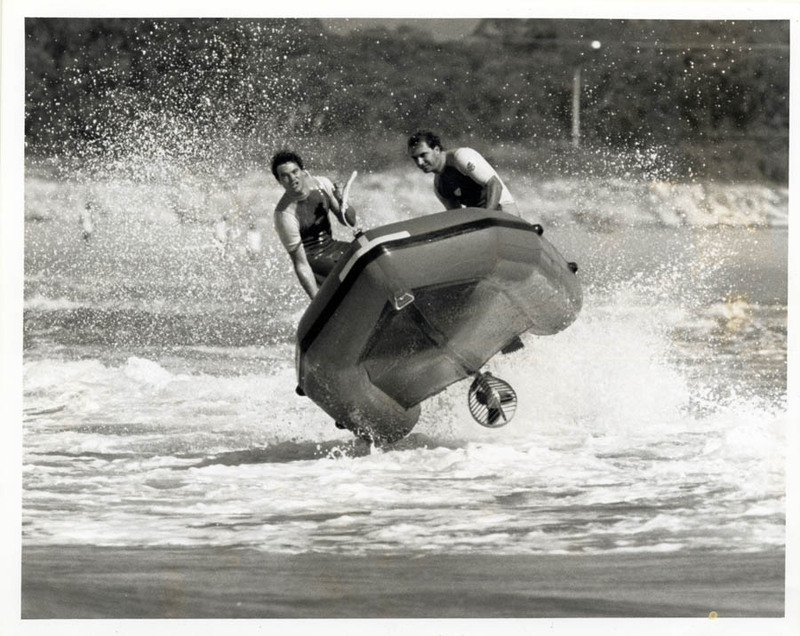 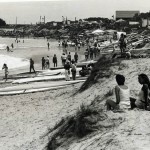 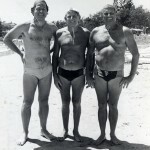 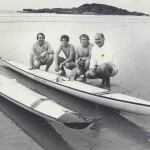 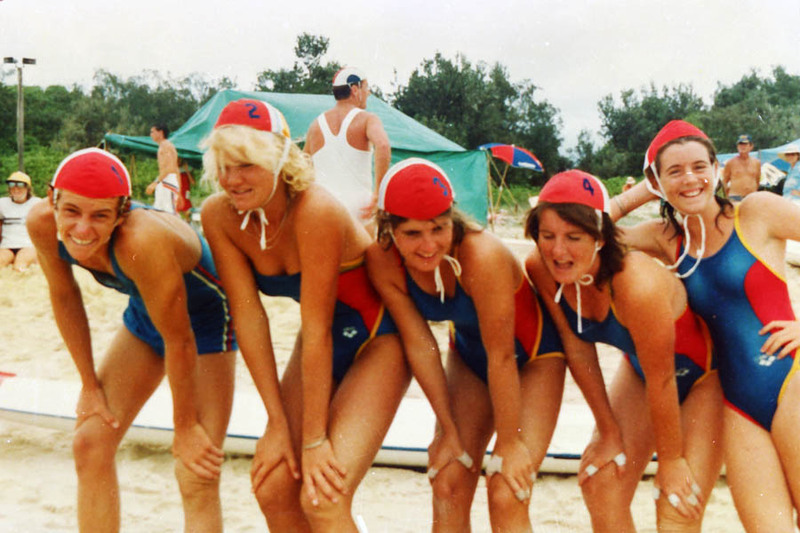 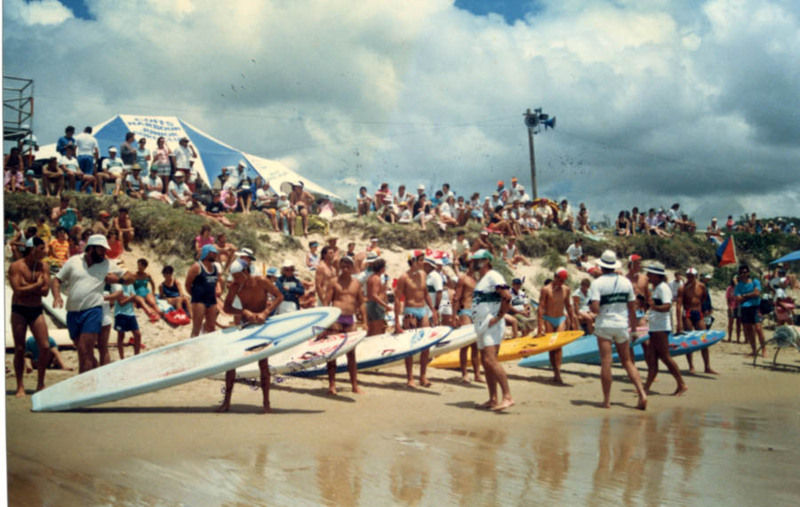 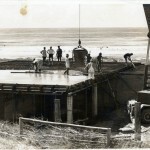 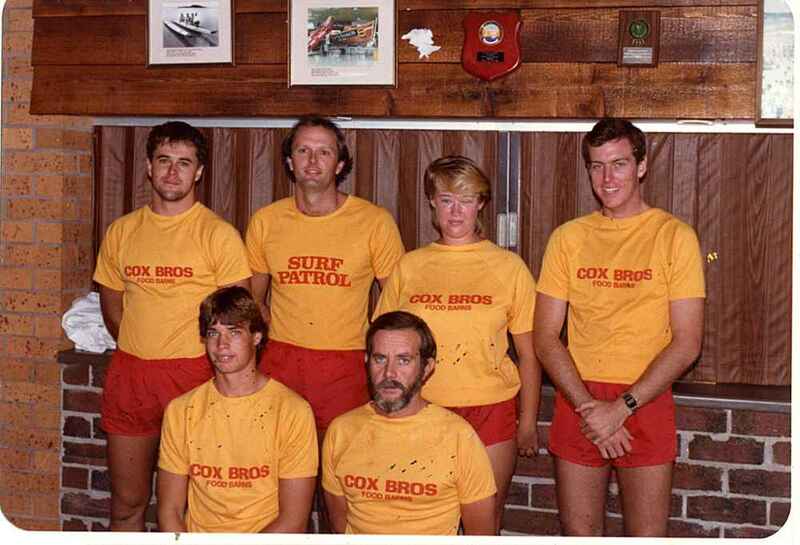 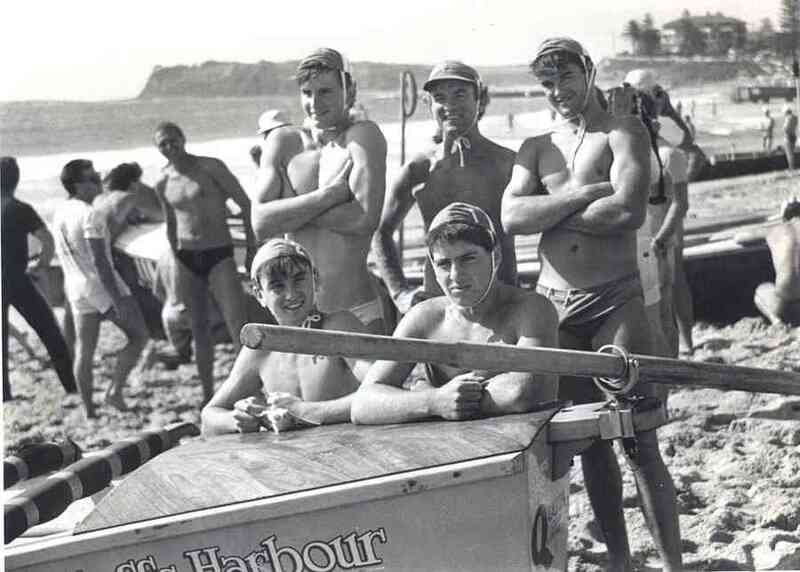 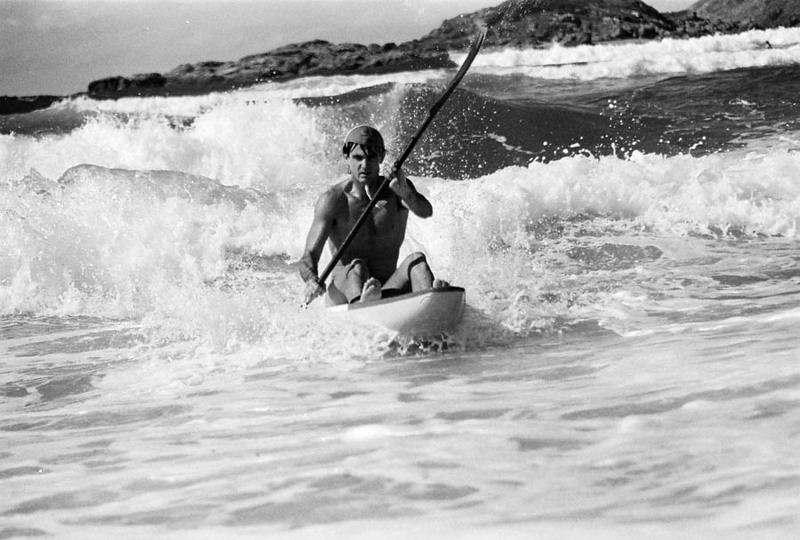 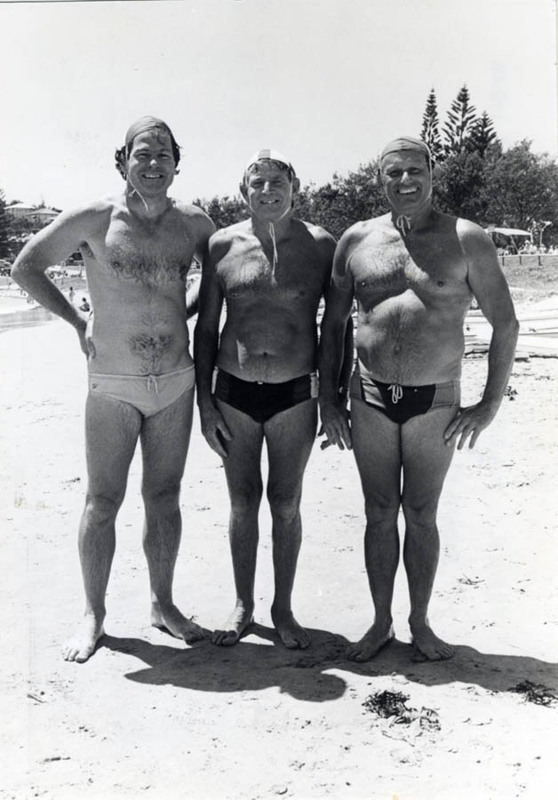 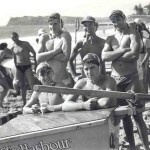 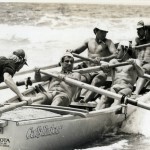 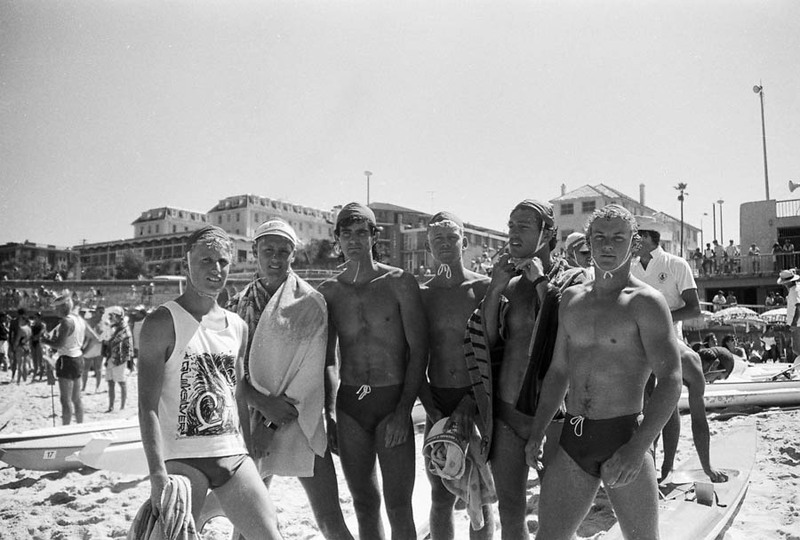 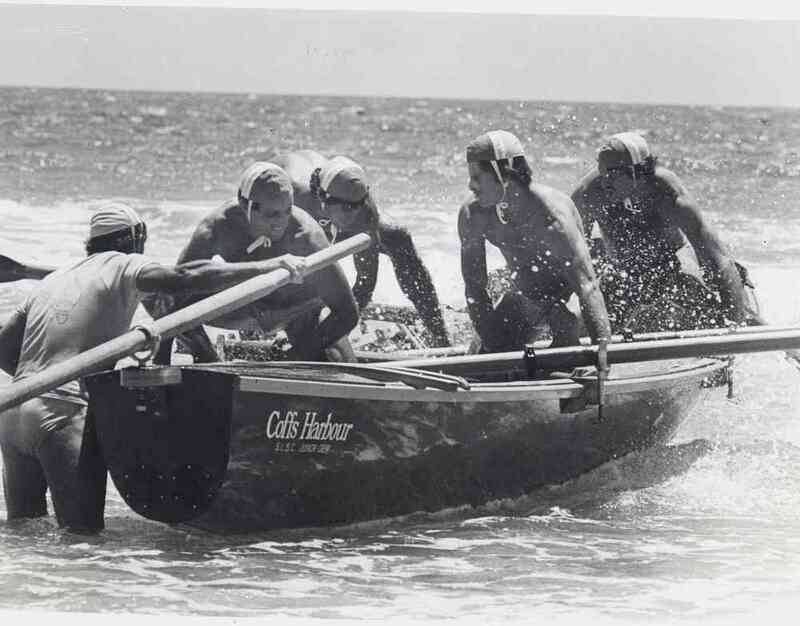 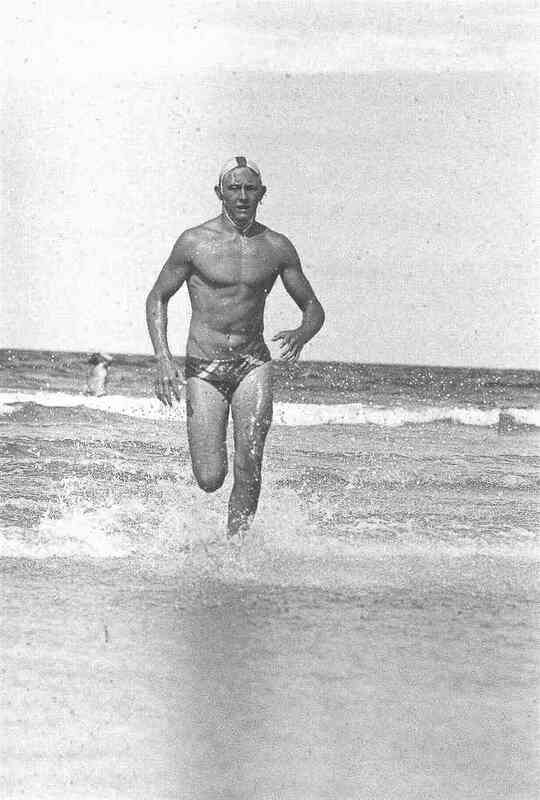 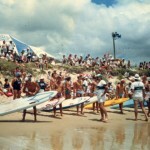 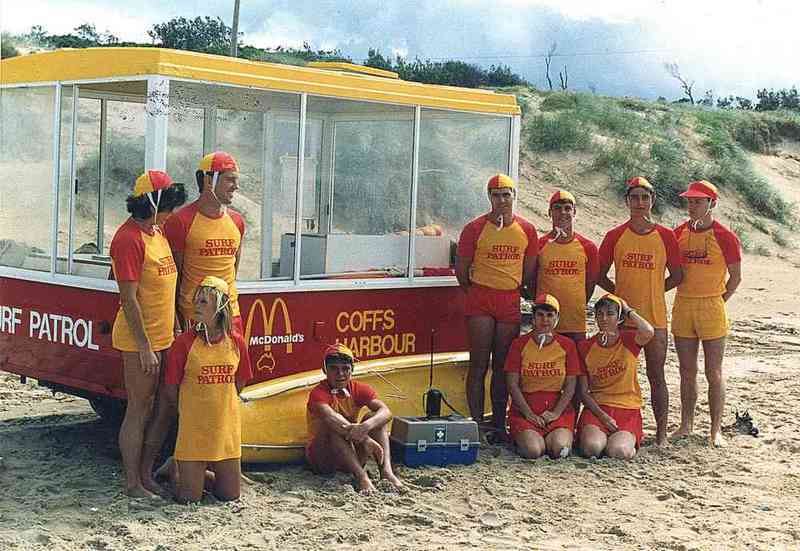 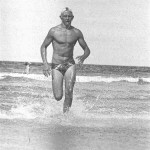 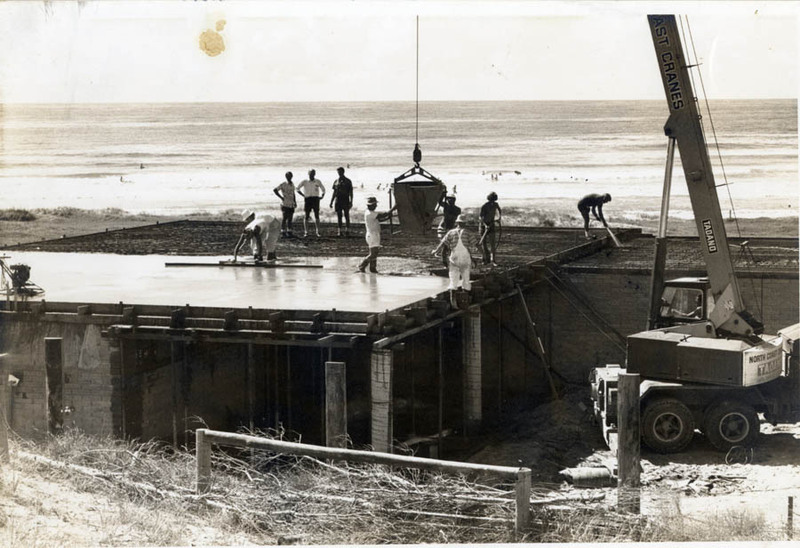 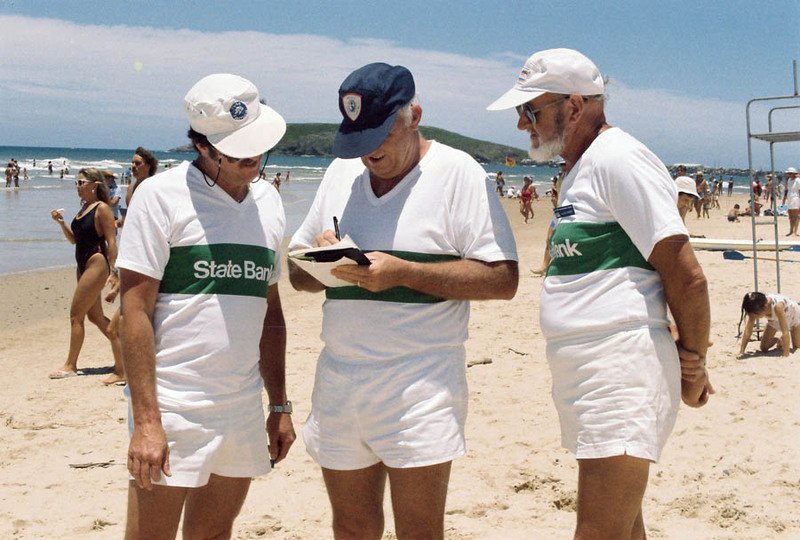 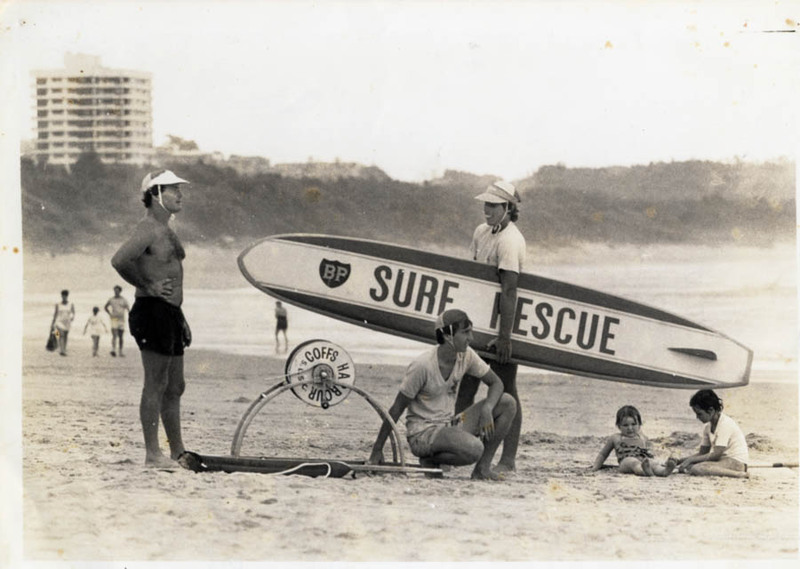 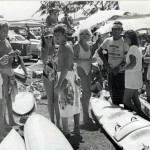 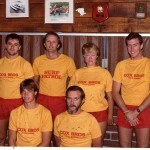 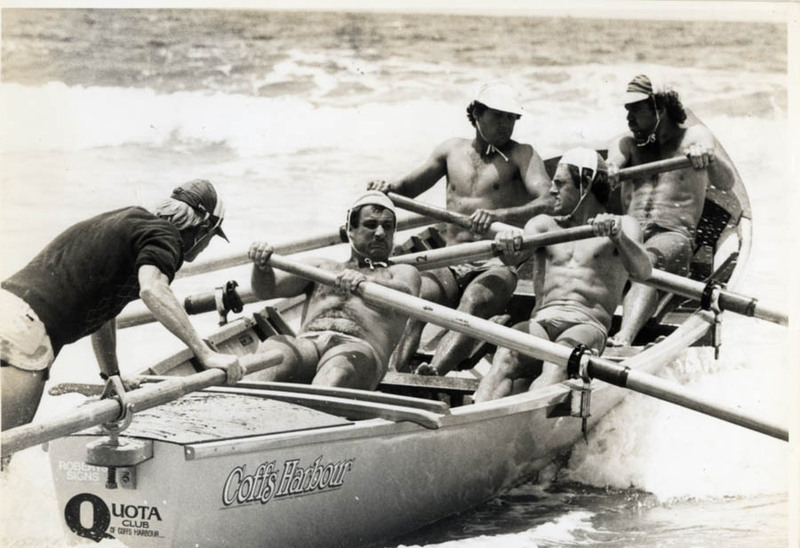 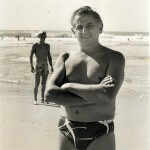 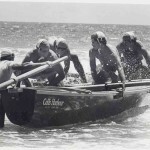 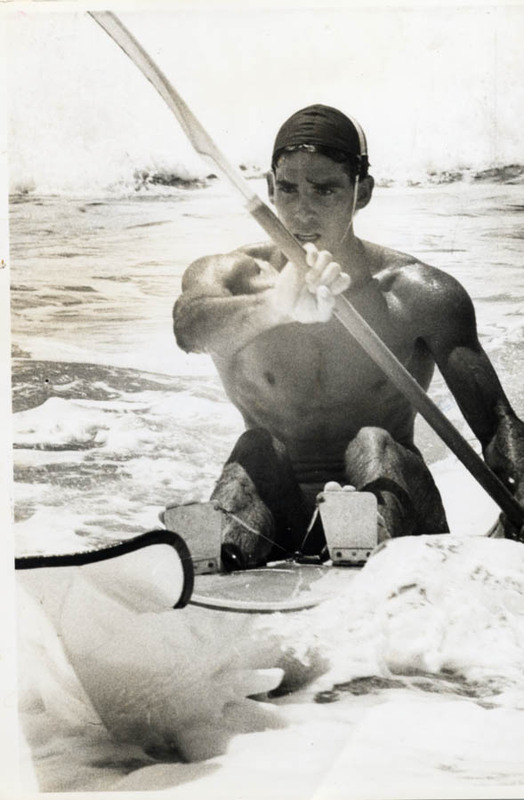 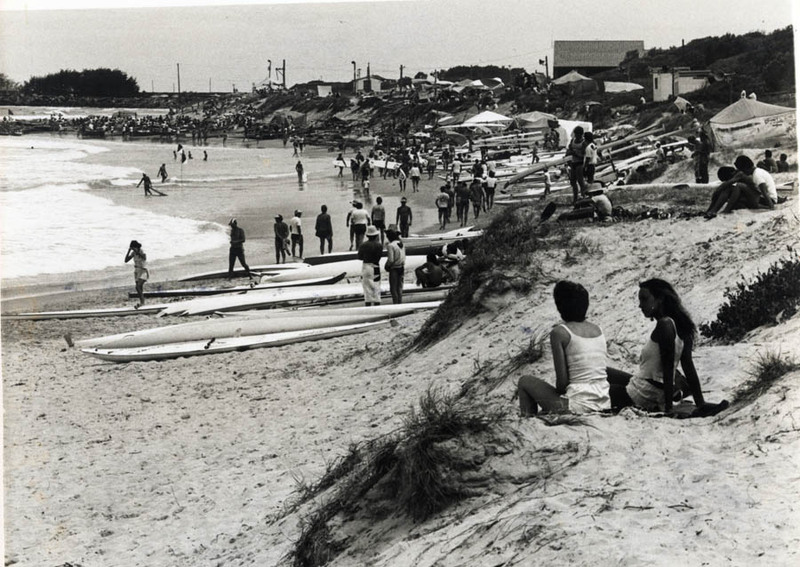 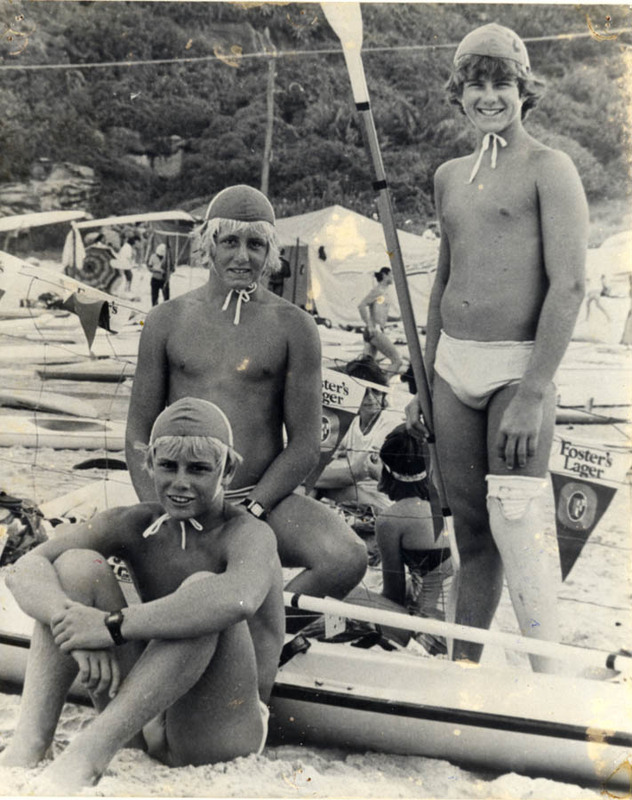 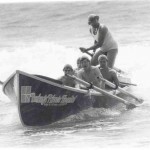 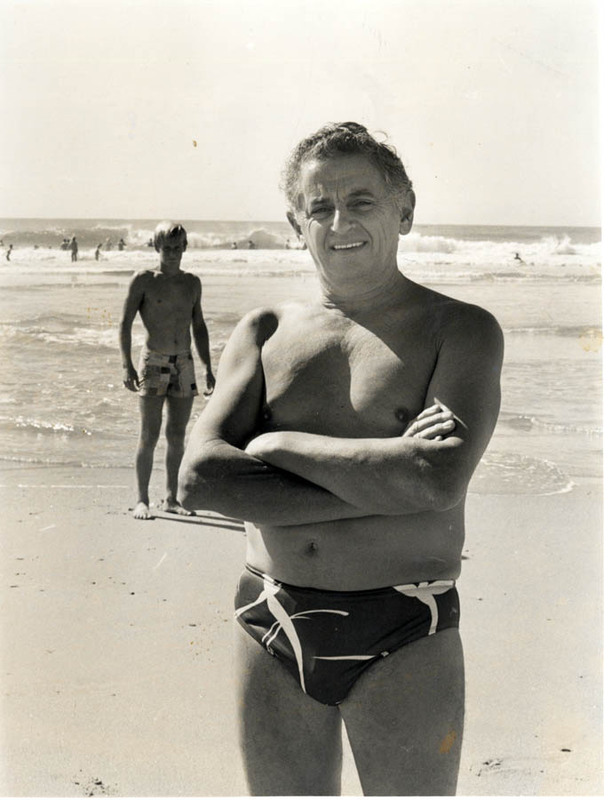 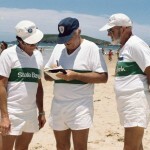 In 1983 the book “Coffs Harbour Surf Life Saving Club ~ 1923-1983 ~ The First 60 Years” was printed. 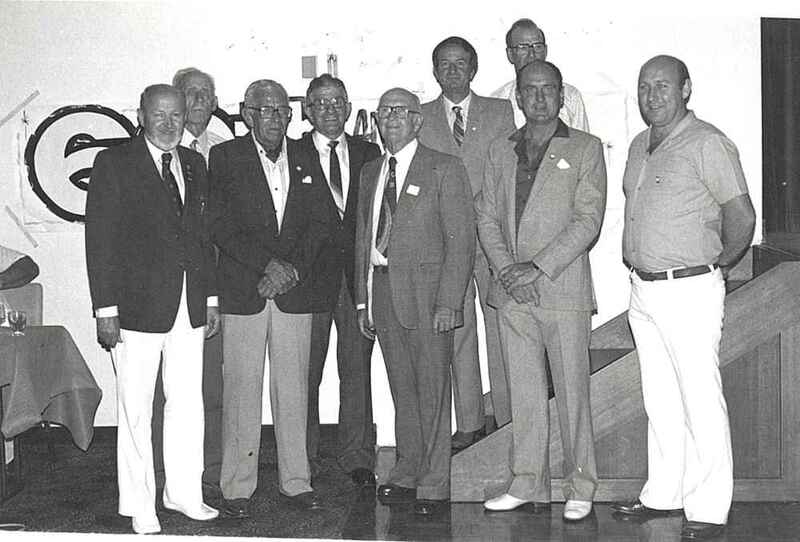 This book was the result of the work of a very dedicated committee comprising Charlie Kuhn, Bill Walker, John Mills and Ted Ovens and much of the material on this website was gathered by that committee. 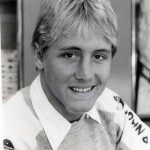 The 80s saw a golden era in competition mainly in the craft area. 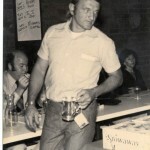 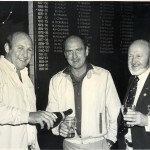 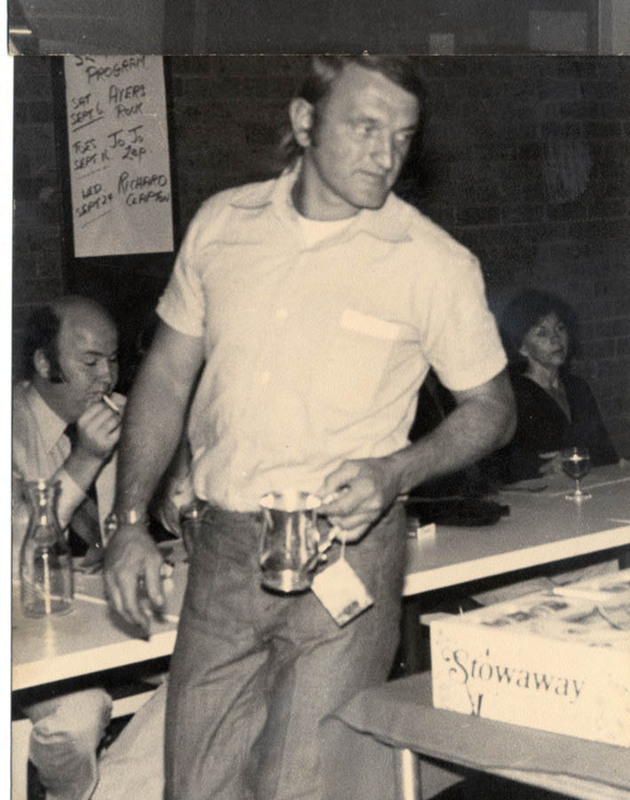 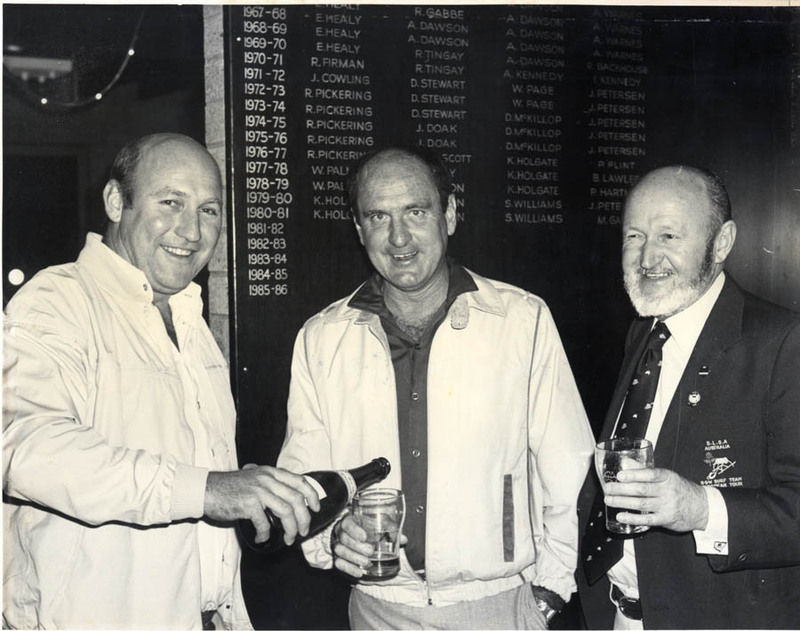 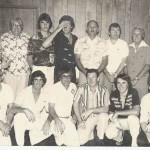 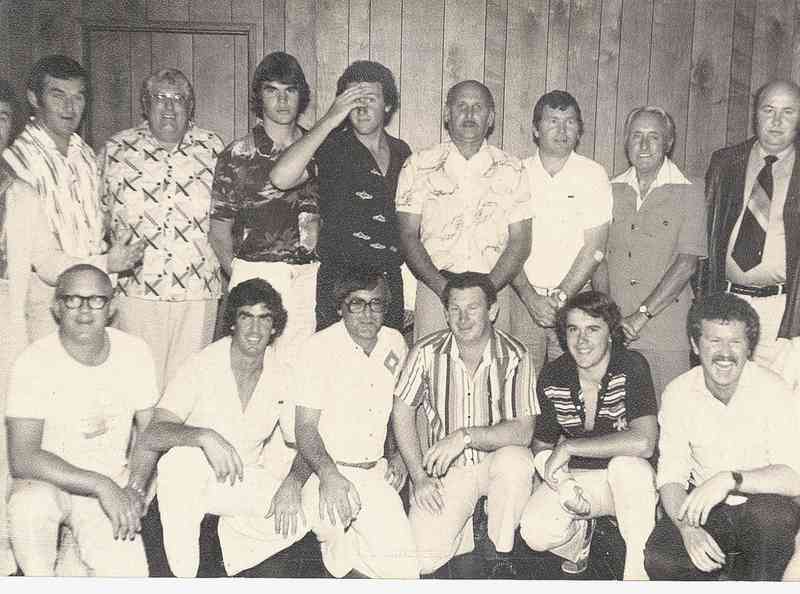 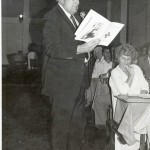 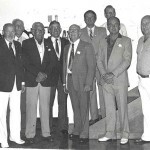 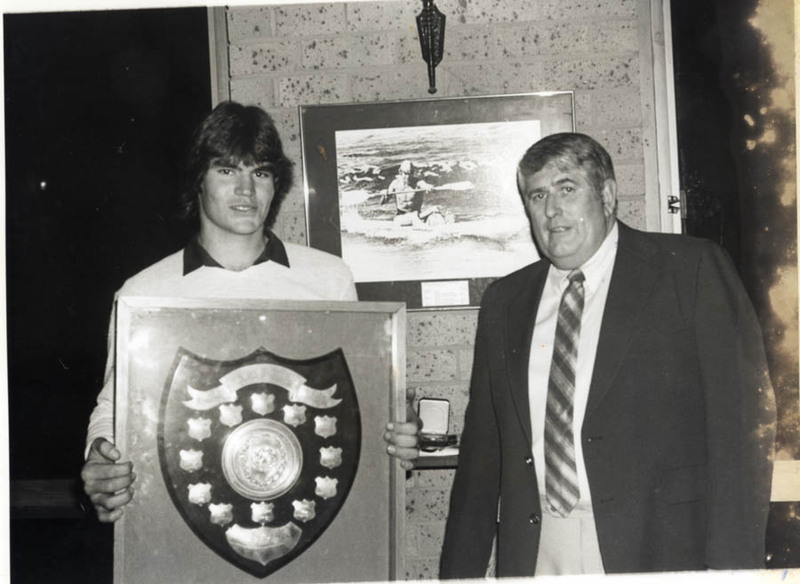 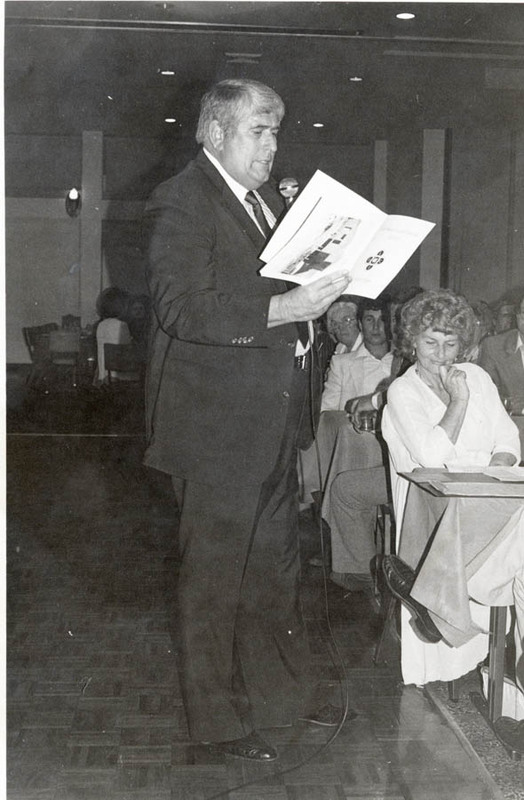 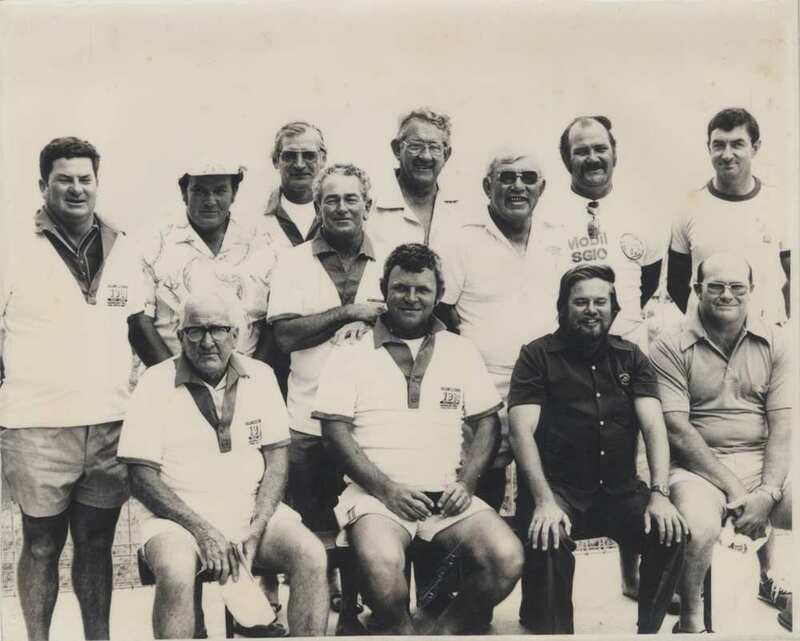 In the 1980-81 season President Ken Holgate reported two “firsts” in our branch by taking out the Bank of NSW Trophy Reel for Champion Country Club at the State Titles and John Olive for winning the club’s first gold medal at the NSW Inter-branch Titles. 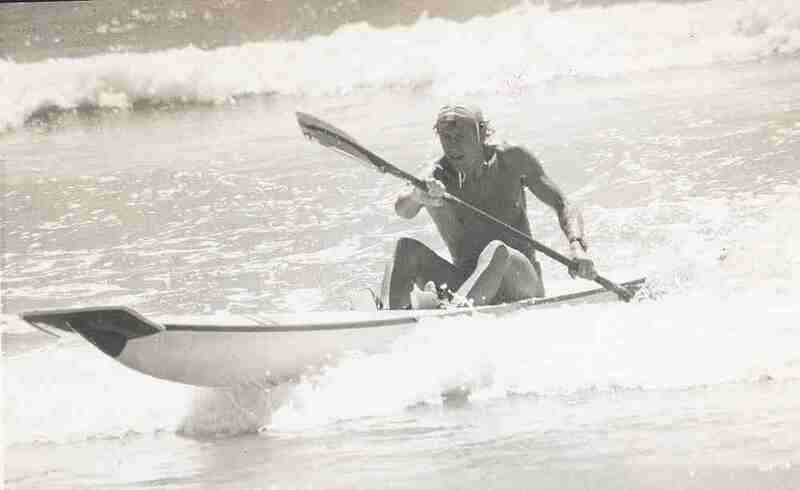 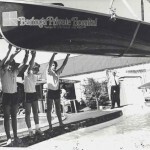 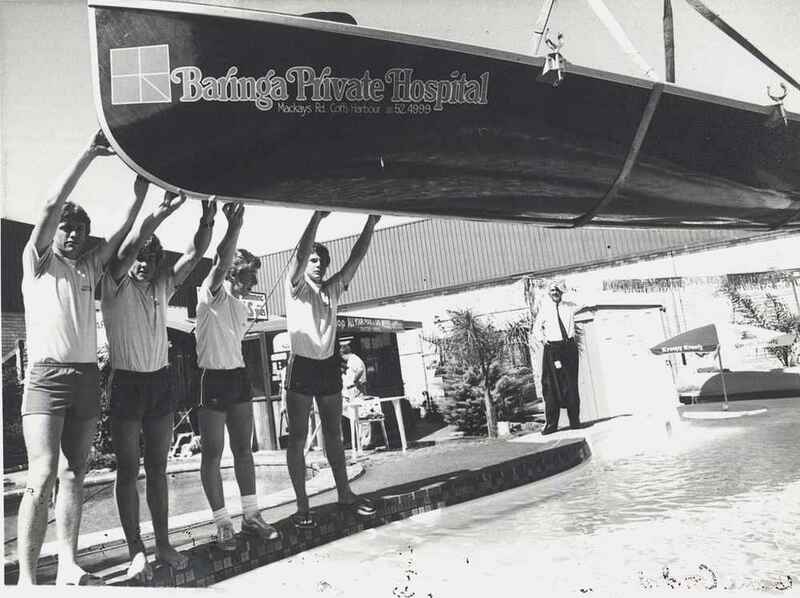 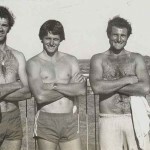 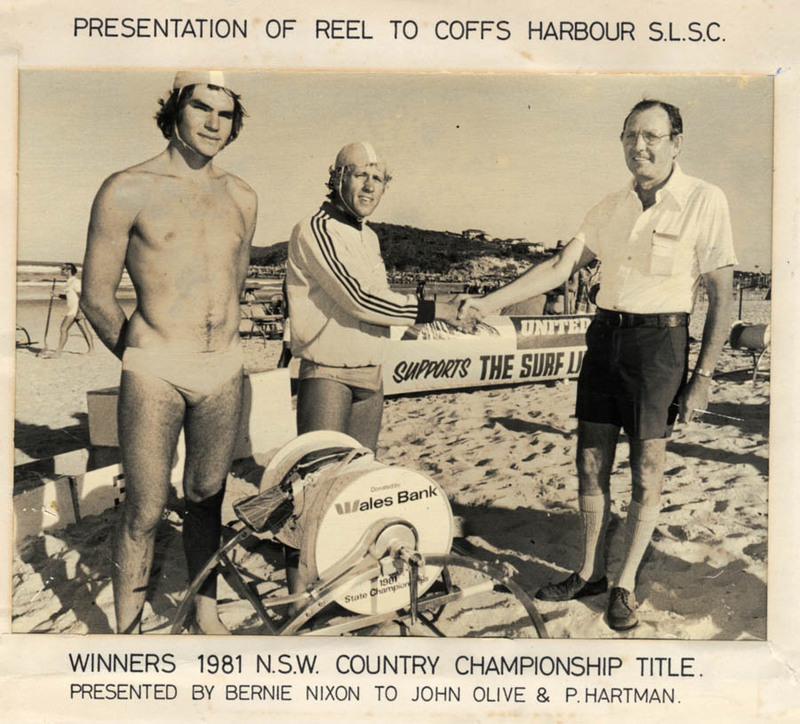 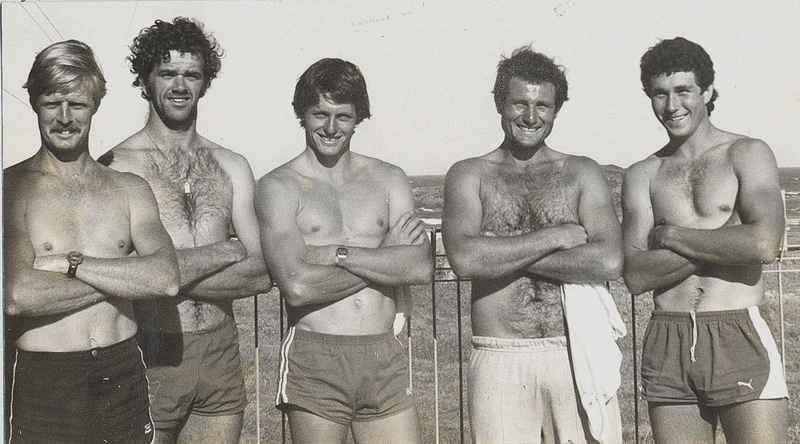 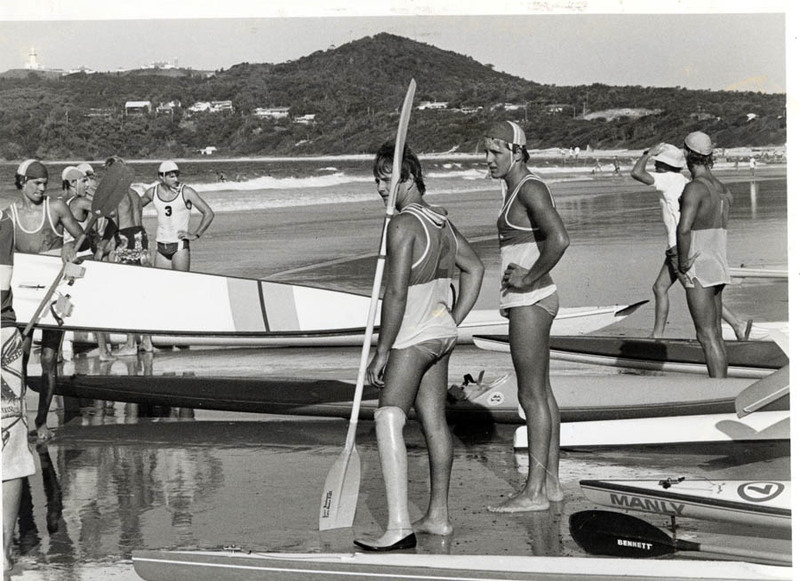 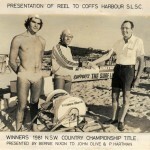 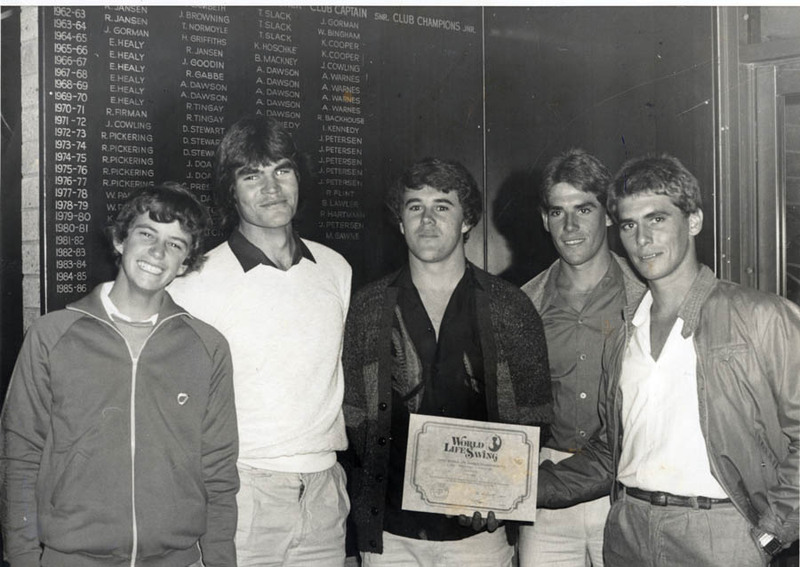 1981-82 saw members win six gold medals at the NSW State Titles and two gold at the Australian Titles with John Olive winning gold in the Junior Ski also John Olive and Wayne Clare winning gold in the Junior Double Ski. 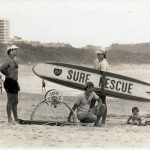 On Sunday 14th March there was a mass rescue of seven American tourists in heavy seas when beach closed signs were ignored. 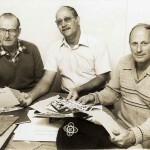 Members involved were Robert Smith, Garry Draper and Kevin Davids. 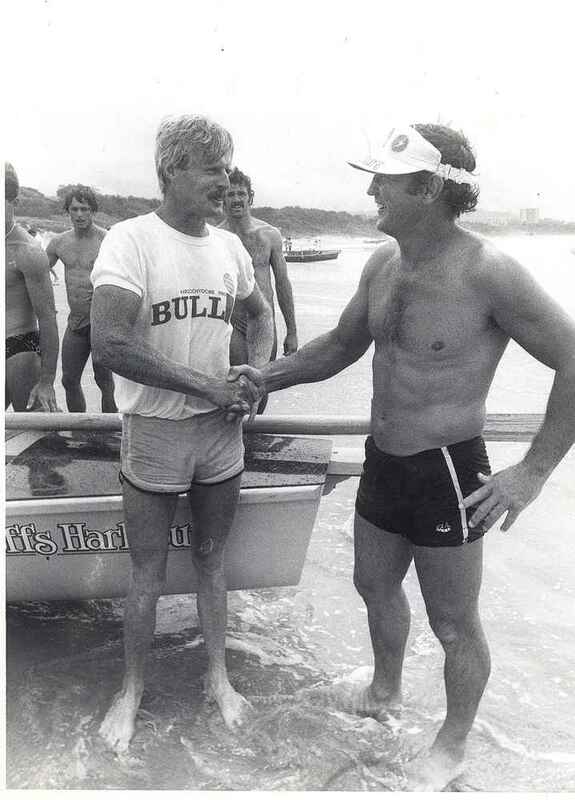 The early 80s saws the return of John Mills to our club and competition strength took off. 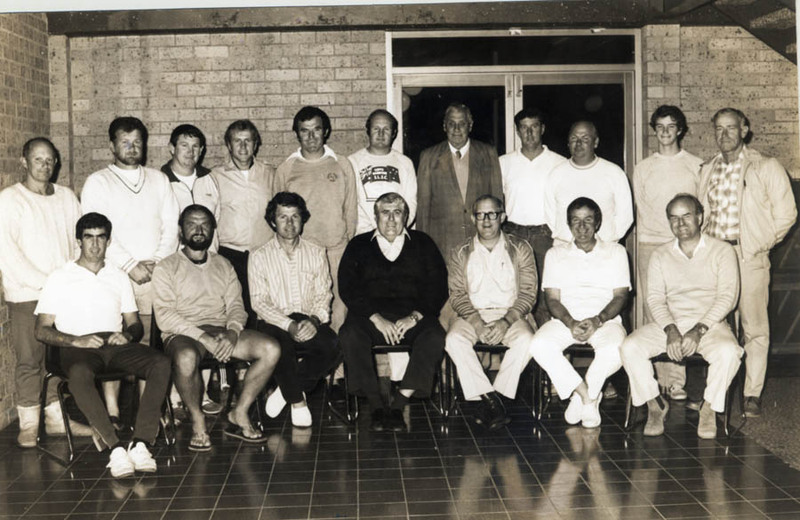 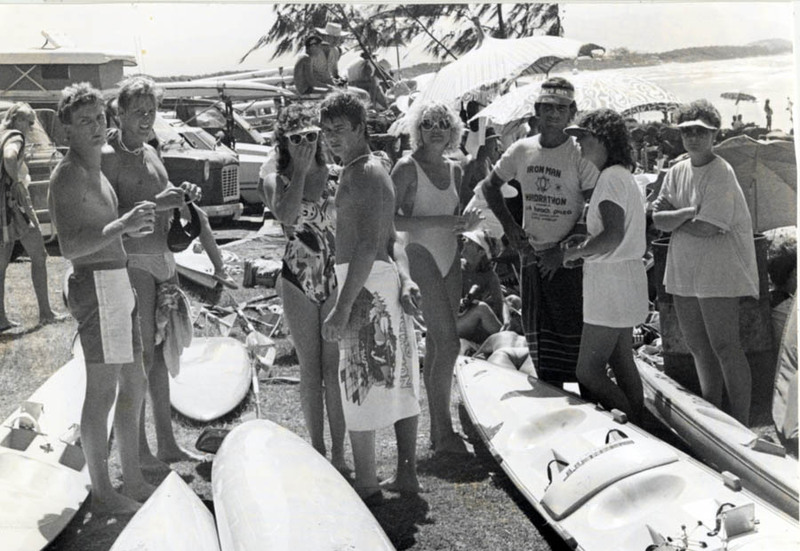 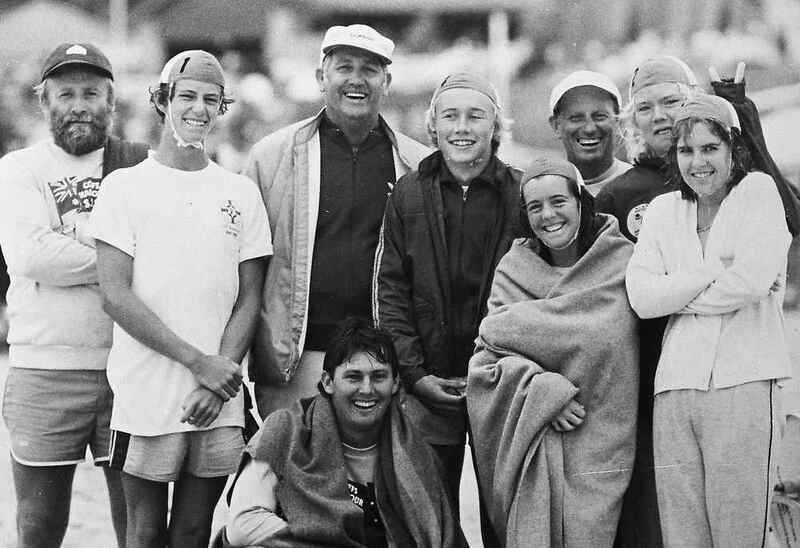 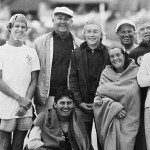 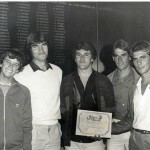 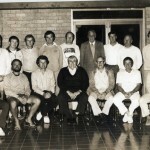 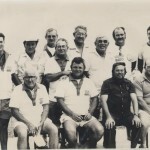 1982-83 saw a record number of 83 SLSA Awards overseen by Instructors Stuart.Ogilvy and Mark Gawne and Mike Mills-Thom won State Wave Ski gold. 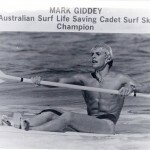 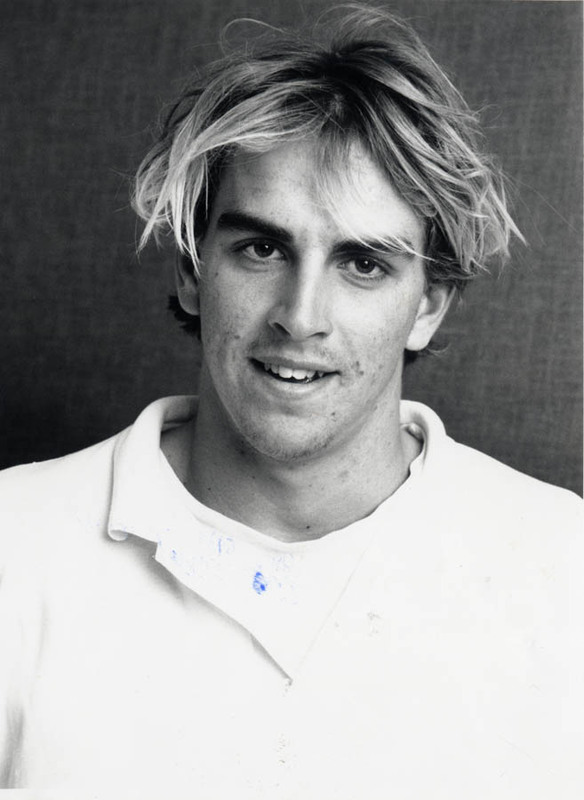 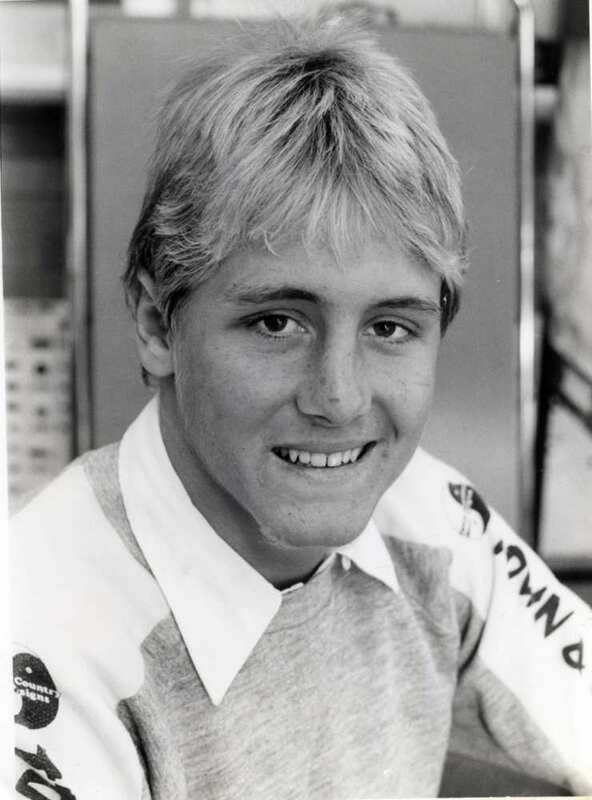 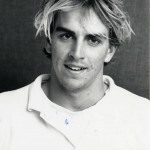 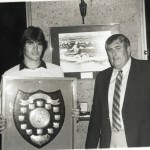 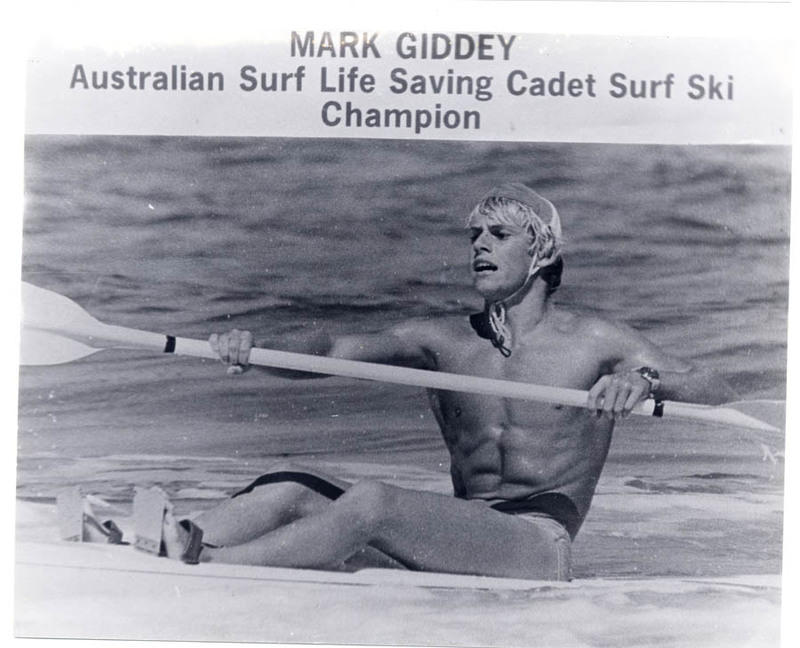 1984-85 Mark Giddey won the Australian Cadet Ski. 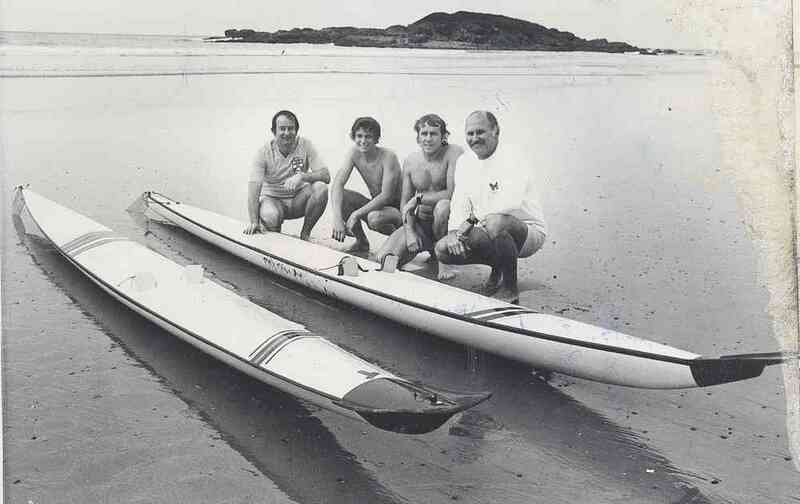 1985-86 the club won four State gold medals with Robert Pade Junior Wave Ski; Scott Brockenshire, Mark Giddey and David Reeves Junior Ski Relay. 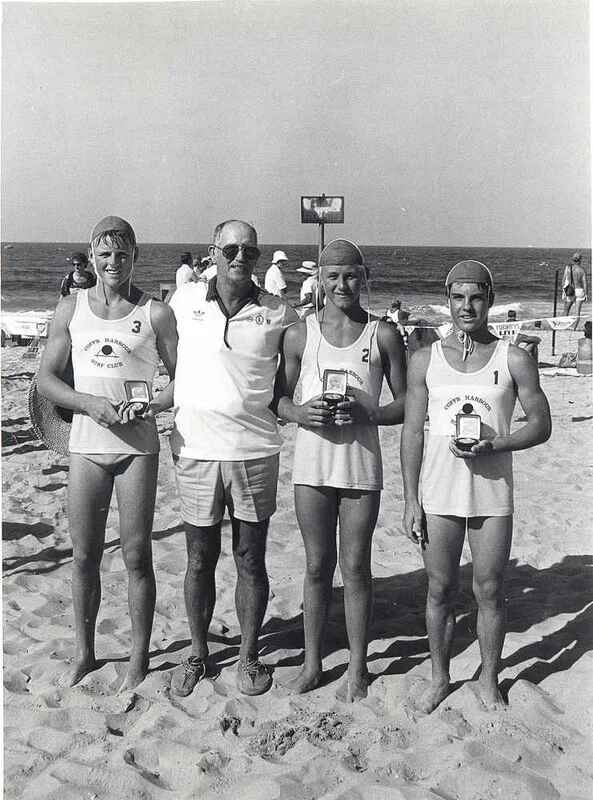 1986-87 State gold in Cadet Board Relay Tim Watkins, Jason Moore and Scott Reeves; David Reeves won gold for Junior Ski. 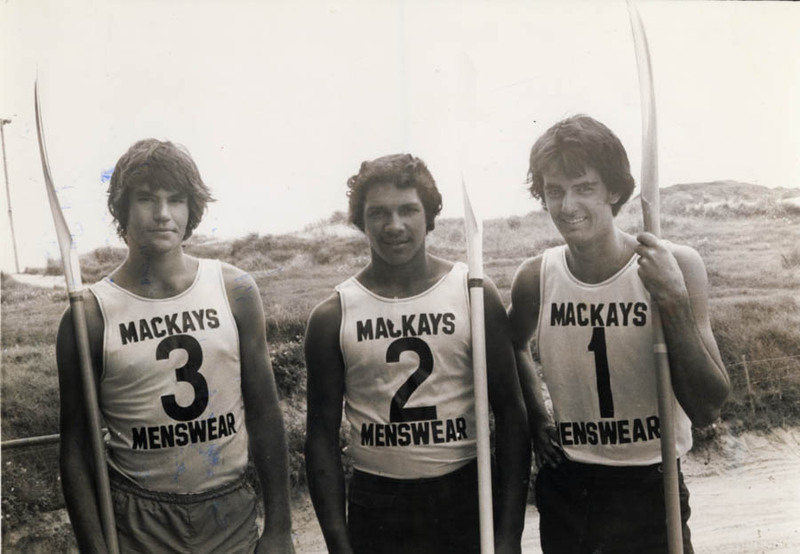 David and Scott Brockenshire won gold on double Ski and David Scott and Robert Pade won Junior Ski Relay gold. 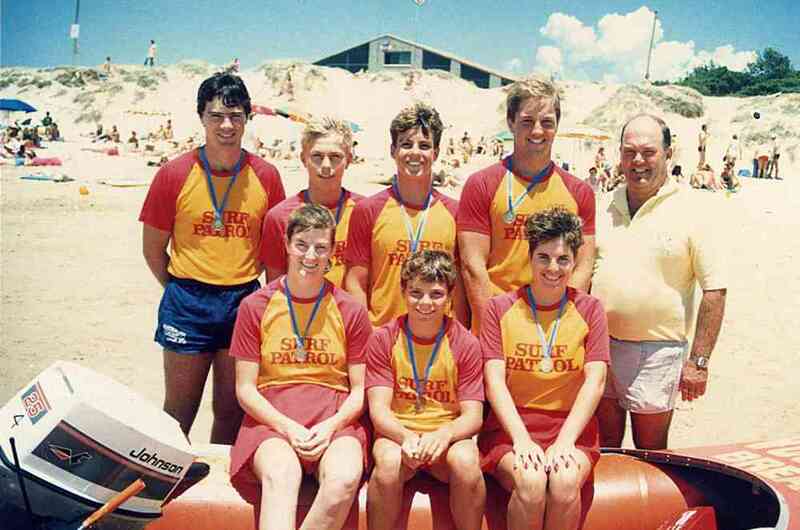 1987-88 the junior boat crew of Dean Crockett (sweep), Ritchie Ellicott, Sam Lahy, Scott Nichol and Troy Shipman won gold at the State Titles. 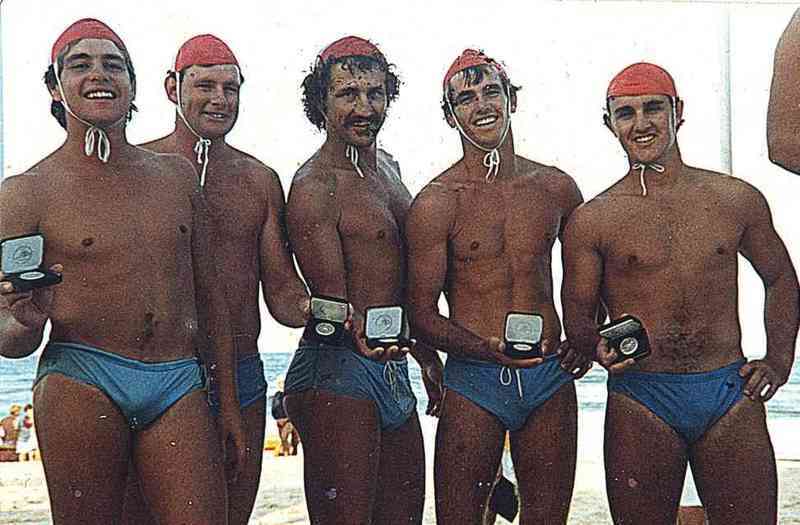 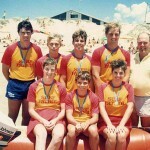 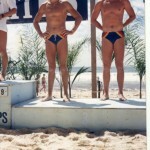 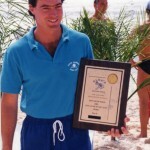 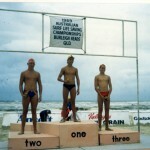 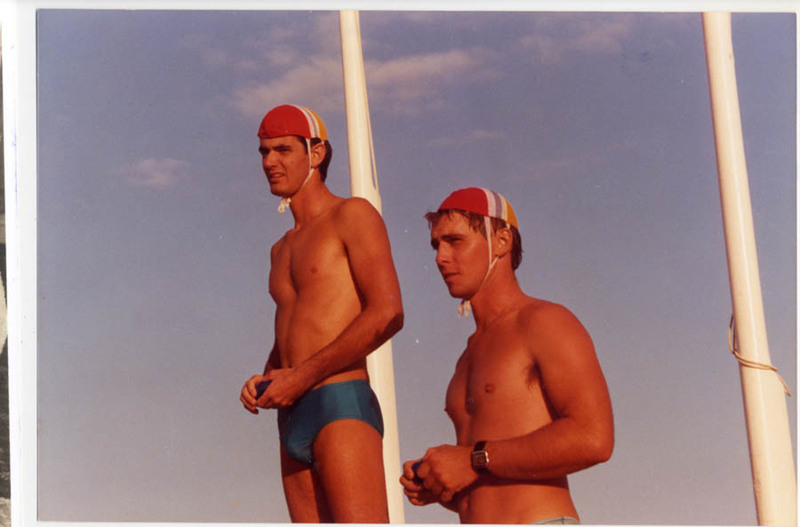 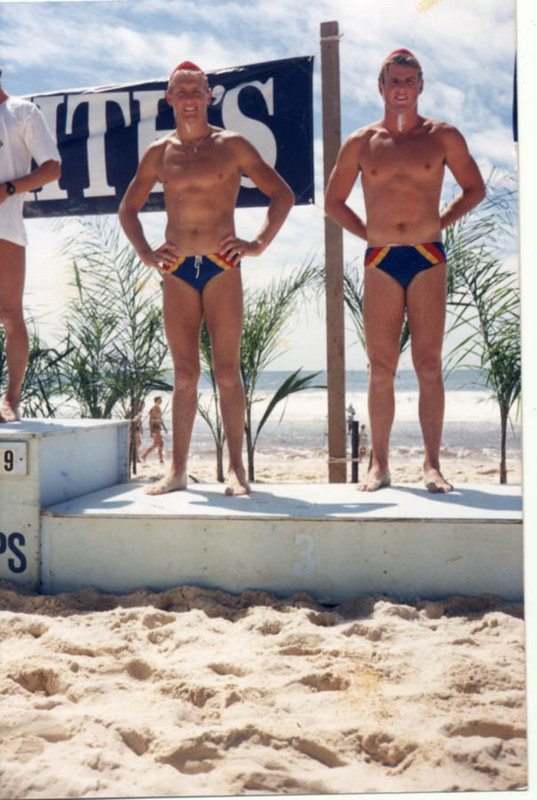 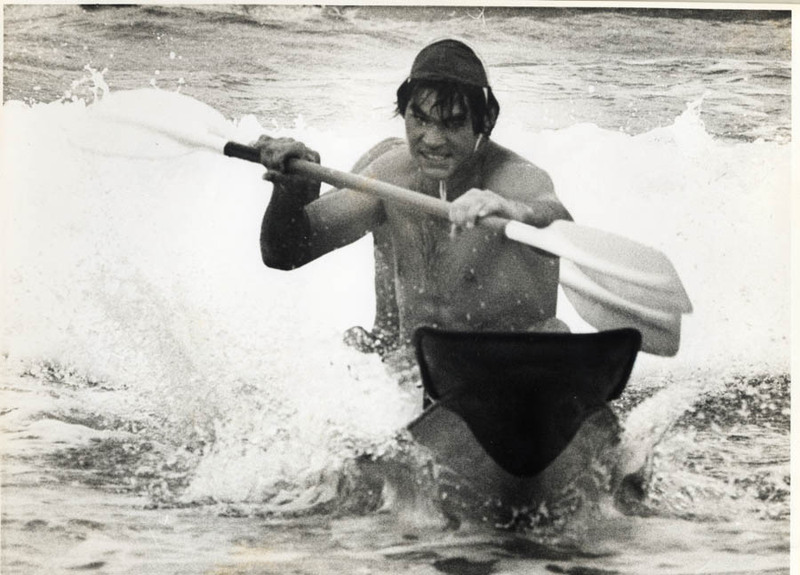 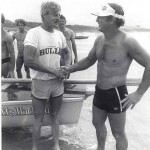 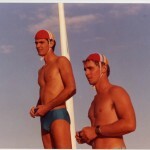 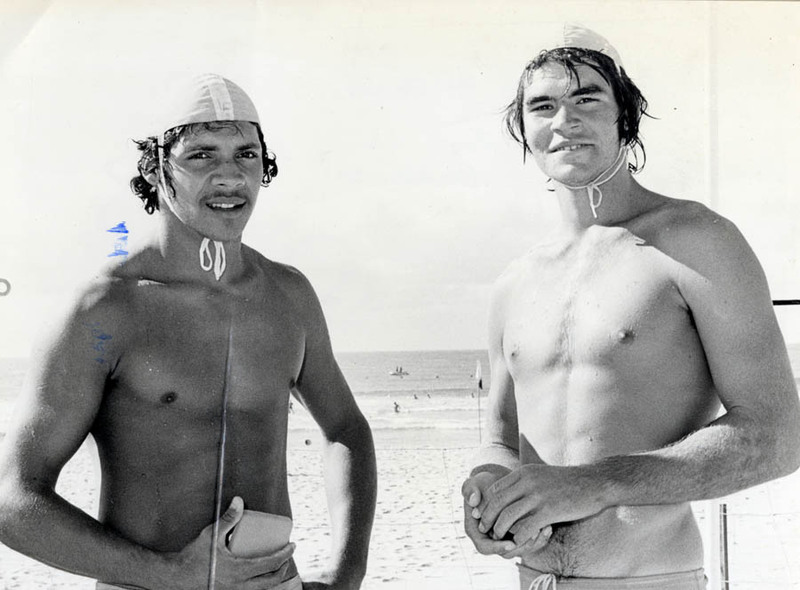 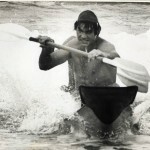 1988-89 Paul Ninness was the State and Australian Life Saver of the Year. 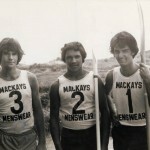 David Reeves, Robert Pade and Tim Watkins won State gold in the Open Ski Relay. 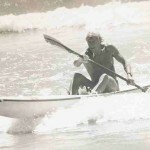 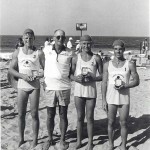 Steve Masia, Dean and Scott Reeves won U15 Board Relay gold. 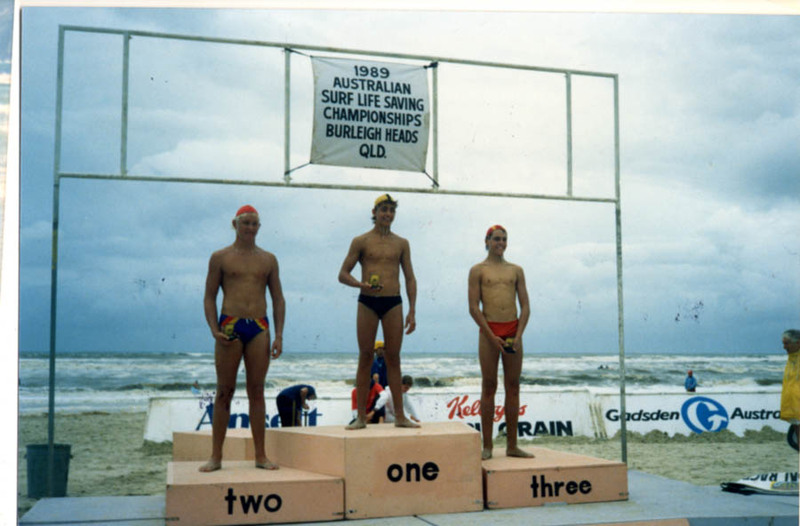 U15 Run, Swim, Run gold to Scott Reeves. 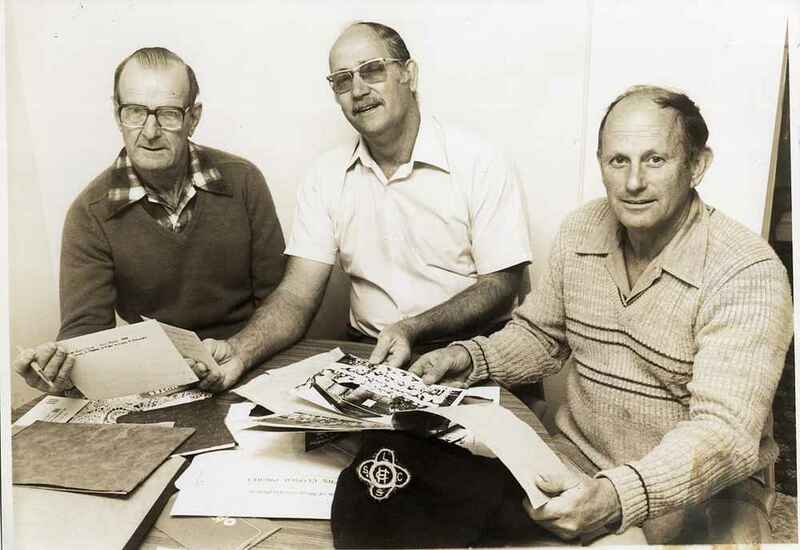 In 1980 the club’s colours were changed to Red, Blue, White and Yellow. 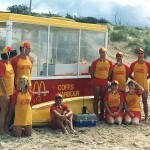 During the 1986-87 season McDonalds owner Brian Pellerman donated the club’s first “Pope Mobile” patrol shelter. 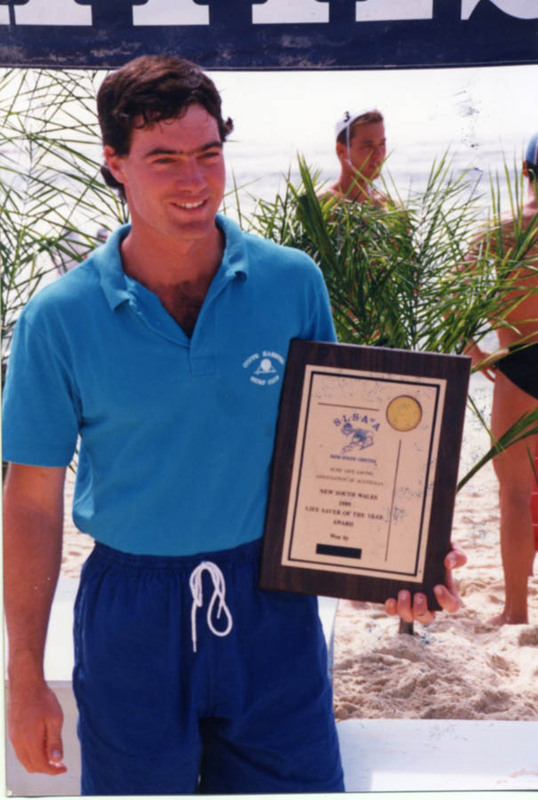 Also during the 80s Bob Chambers commenced a notable time as Chief Instructor overseeing a record number SLS Awards.